If you climb into the shower, then hear an awful squeak, it may not be a mouse. Your shower faucet can squeal worse than you might imagine if dust and dirt has built up in the cartridge behind the handle. 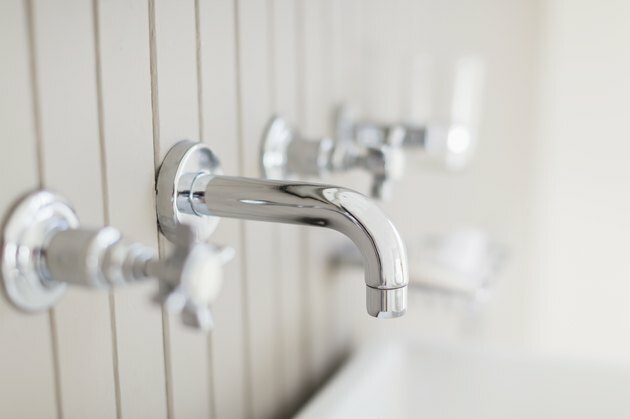 In fact, manufacturers recommend you apply plumber's grease to a shower faucet regularly in order to clear out debris, prevent rust, make the shower handle easy to turn and stop any squeaking. It is not very difficult to do if you have a few simple tools, plus a container of plumber's grease. Plumber's grease looks something like Vaseline, but those who know plumbing say it works better and lasts longer. It is a waterproof silicone-based grease made by combining silicone oil, usually polydimethylsiloxane (PDMS), with a thickener, often silicone grease. It is essentially dielectric grease, but it is much thicker and last a long time. Plumber's grease is used to lubricate and protect plumbing parts. It is frequently used by a plumber when installing faucets or O-rings. In fact, it is used so regularly to fix faucets that it is also called faucet grease. The main problems you are likely to experience with a relatively new shower faucet are difficulty in turning and the emission of a squeaky noise. Both can be addressed by the same type of maintenance: Removing the handle and taking out the cartridge to clean and lubricate it. It shouldn't take more than a few minutes as long as you have a screwdriver, pliers and plumber's grease available. You simply have to apply plumber's grease to the parts of the shower assembly that regulate the water flow. The parts can vary depending on the type of shower system your bathroom has. Most modern showers have cartridges to start and stop the water and regulate the temperature. In order to stop the shower from squealing, you must take apart the faucet handle to expose the cartridge behind it. Many showers faucets and all Moen shower faucets have cartridges. The manufacturer suggests regular lubrication of the cartridge regardless of whether the shower is squeaking. Getting in there and lubricating with plumber's grease occasionally clean out the cartridge and removes rust. When you lubricate Moen faucet cartridges, it takes care of squeaking. This procedure also works to fix a Moen shower faucet that is hard to turn. First, you need to loosen the screw holding on the handle. It is located at the back of the faucet. Then, take out the screws holding on the plate behind the faucet and remove it, too. The collar around the shower cartridge pulls right out. You'll see U-clips surrounding the cartridge. Remove these with pliers, then the cartridge itself comes right out. Wipe it clean with paper towels, then spread plumber's grease around it to lubricate it. Finally, reassemble the faucet and the deed is done.